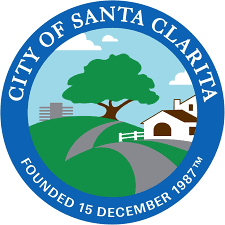 Santa Clarita, a community of 220,000 in Los Angeles County, California, recently signed a dark fiber lease agreement with Southern Californian telecommunications provider Wilcon. The city hopes to improve high-speed Internet access for local businesses; this ten-year contract allows Wilcon to provide services via publicly owned fiber-optic cable originally buried for traffic controls. Initial anticipated annual revenues of $72,256 based on $840 per year per fiber mile. Annual fiber lease rate adjustment based on [Consumer Price Index] (CPI) for the Los Angeles area. Initial anticipated lease of 86.02 total fiber miles. City maintains control and ownership of all fiber at all times. Lease of dark fiber is not exclusive to Wilcon. City may opt out of the contract without cause after ten (10) years. Santa Clarita and Wilcon can extend their agreement on identical terms for three consecutive periods of five years following the original ten-year term, leading to a potential contract length of twenty-five years. The third largest city in Los Angeles County is home to the Six Flags Magic Mountain amusement park, a handful of aerospace engineering firms, several medical equipment manufacturers, and a strong business community. Yet, local industry groups like Santa Clarita Business Journal (SCBJ) identified unaffordable Internet access as a major barrier for local businesses, as highlighted by its May 2015 publication. Work with the Economic Development Council (EDC) to provide recommendations and strategies on how to ensure high-speed Internet access to business parks. Establish a revenue-generating program that utilizes existing infrastructure to leverage resources and potentially promote greater bandwidth access to the community. The lease agreement with Wilcon will move Santa Clarita toward achieving those goals. Although the lease will connect several business parks and individual businesses already located on the existing network, it will open the door for Wilcon or another Internet service provider (ISP) to expand the network to serve even more Santa Clarita businesses. As communities like Winston-Salem, North Carolina, and Kane County, Illinois, have shown, extra fiber cables already laid for traffic controls can act as the foundation for better local Internet access. We’ve also written about the city of Aurora, Illinois, received a $12 million grant from the Federal Highway Administration to construct 60 traffic signals. The city has now extended its network to schools, businesses, hospitals, and other community anchor institutions. Santa Clarita initially laid 96 strands of fiber to manage traffic signals and cameras starting in 2002, planning ahead for future growth. The City shared the initial expense of the $3.4 million infrastructure project with the Metro Transit Authority. Since then, Santa Clarita has incrementally expanded the network to over 70 miles, using state and federal grants to fund the expansions. Traffic operations take up less than one-third of the network's full capacity. For about four years now, the city has eliminated the cost of leased lines by using its fiber-optic network to interconnect its municipal facilities. Freedom Dark Fiber Networks was the first private dark fiber provider to work with the city. Freedom used the network to provide services to a number of entities, including the Los Angeles Department of Water and Power, Southern California Edison, AT&T, and Verizon. The company leased small portions of city-owned fiber on a short-term basis to fill in gaps on its network. In 2013, Wilcon acquired Freedom Dark Fiber Networks. At that point, both the city and Wilcon decided it was time to renegotiate. Even with up to eight strands dedicated to Wilcon’s network, about 50 percent of the city’s fiber remains unlit. Now it finds itself with a new revenue stream estimated at more than $700,000 over the course of the next ten years, thanks to its contract with Wilcon. In addition to reducing the cost of maintaining connectivity for its municipal facilities, Santa Clarita is providing an environment where businesses can get the fast, affordable, reliable, connectivity they need.